On the face of it, the recent news of financial markets operator ICAP’s foray into blockchain technology is a further example of how trading firms are looking to reduce inefficiency, risk and costs in post-trade processes. That is certainly part of the story, but the proof-of-technology, as the firm describes it, also highlights blockchain’s inherent potential as a master data repository, and points to how an established financial player is possibly viewing blockchain as an enabler to build on as it transforms its business. ICAP’s core business is as an intermediary between global banks and major corporations. Historically, it has been a major voice middleman for OTC markets, employing (human) brokers to provide a conduit between buyers and sellers for assets like foreign exchange (FX), fixed income (FI), derivatives and energy. Over the years, it has acquired a number of electronic trading systems – EBS for FX and BrokerTec for FI are two examples – for markets where trading is relatively simple, and increasingly does not require human intervention. More recently, it decided to sell off its remaining voice broking business to a rival called Tullett Prebon. That transaction is currently passing through regulatory approval but is expected to complete this year. 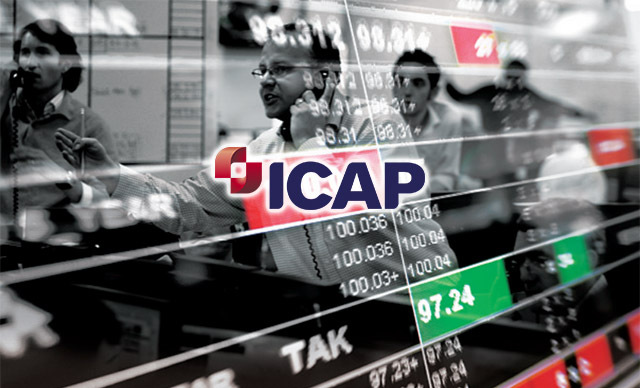 For the future, ICAP wants to transform into a “pure post-trade services and electronic trading group” and reckons that it is at the “forefront of the electronification of trading infrastructures” and has “continued to invest heavily in risk mitigation and efficient workflow solutions.” No surprise, then, that it has decided to kick the tires of blockchain solutions. 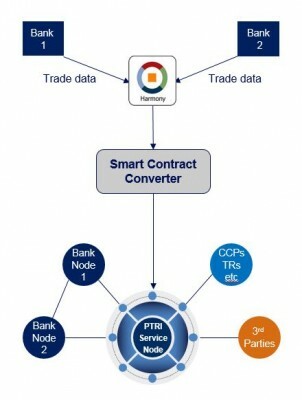 For its blockchain tests, which were completed last month, ICAP leveraged some existing technology in the Harmony trade matching network from Traiana, a vendor that ICAP partly owns (along with a number of banks). The tests used matched FX spot and forward trades sourced from Harmony, and then in real time, ran smart contract processes operating across nine separate server nodes in order to perform functions including valuation, compression and reporting (see diagram below). continuously update copies of data stored locally on users’ servers. 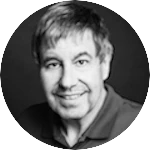 As such, the tests demonstrated an approach in which blockchain technology is integrated with existing systems and with other data stores, acting as a middleware layer to keep those data stores consistent, as opposed to acting as a single shared repository of data that might replace existing infrastructure. While such an architecture might not meet favor with blockchain purists, it perhaps points to existing real-world integration patterns. While Axoni is a new name on the blockchain scene, the team behind it is not. The company was set up – at least 18 months ago – by the founders of TradeBlock, which is focused on analytics, information, order management services and technology for the institutional Bitcoin trading market. Among its customers are broker/dealer Genesis Trading and the block trading desk of the itBit exchange. ICAP says that it became aware of Axoni via its Euclid Opportunities fintech funding program, though it is not known whether ICAP has actually invested in Axoni. ICAP did not respond to a request for clarification on this matter. Interestingly, as well as its own focus on blockchain, ICAP has also played a (likely unwitting) role in the creation of two other blockchain initiatives. R3 CEV, which has formed a consortium of global banks to develop a financial industry blockchain, is headed by David Rutter, a former CEO of ICAP’s electronic broking division. Another former ICAP executive – Andrew Coyne, who was CEO of Traiana – has recently founded Cobalt DL, a startup looking to apply blockchains to post-trade processing in the FX marketplace.